The brokers and admin rely on me to create above and beyond astonishing marketing to help elevate properties to their highest potential in the Denver office. With my team in the Colliers Denver Design Studio, I help create bov's, proposals, offering memorandums, brochures, postcards, invitations, vinyl/ground signage, poster boards, presentations, emails and social media posts. I started my graphic design career in commercial real estate here at Colliers back in 2008, while still finishing up my B.A. in design at Platt College in Aurora, Colorado. Even after more than a decade in this business, I still appreciate the opportunities to learn something new, whether about commercial real estate, graphic design, or even the clients I get to work with. These combined experiences have guided my own personal growth and made my journey here in the Denver office a fun one. I have learned that being a great designer is not only being up to date with the latest trends and software in my own field, but more importantly being able to communicate with my design effectively to help make our brand stand out above the rest. 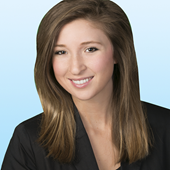 Tonya joined Colliers Denver Office in 2006. I joined Colliers in May 2012 as an administrative assistant and within less than a year transitioned into my current role as a Graphic Designer able to pursue a career in my degree. My experience in graphic design has allowed me to bring innovative concepts to Colliers marketing. I joined Colliers in January 2017 as a Graphic Designer and in September of 2018 transitioned into the role of Digital Marketing Director. My experience helps build a strong connection between Colliers’ marketing projects and business objectives. My primary roles include scheduling all social media, monitoring the website, content marketing and digital advertising. I work in conjunction with each brokerage team and the Design Studio to create an engaging and cohesive digital presence.